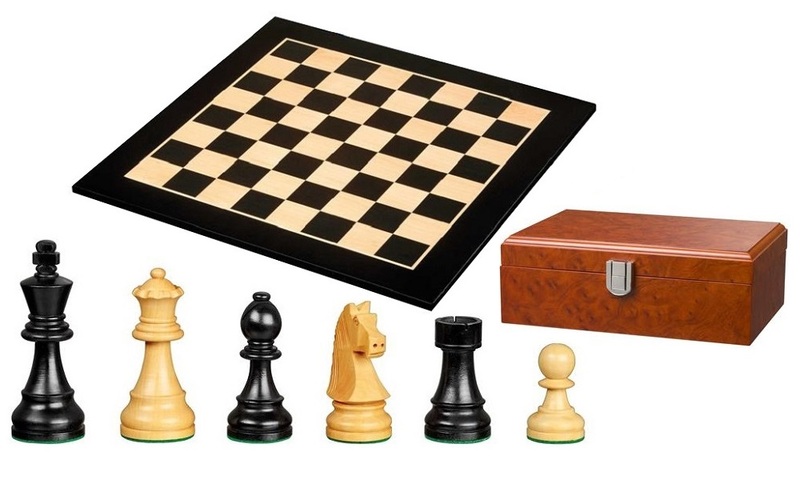 Ageless Chess Set for home use. 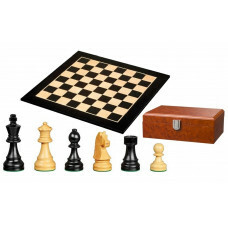 Chessboard of sycamore maple without chess notation, Field size 50 mm. Chessmen of natural sheesham and black stained boxwood, Staunton design. King size 95 mm.